At this weekend’s Rome E-Prix, Formula E saw its seventh different driver, for a seventh different team, win the seventh race of the season. While on paper this sort of unpredictability is a good thing, there comes a point where it lacks credibility. Formula E is reaching that point. When Mitch Evans took the chequered flag in Rome for Jaguar Racing, it came at a crucial moment for the team. With the team’s parent company Jaguar Land Rover having been in the headlines for cutting 6,000 jobs over the past two years, critics have questioned why they are bankrolling a Formula E team that wasn’t delivering results. As part of a shakeup plan, the team replaced driver Nelson Piquet junior with Alex Lynn just ahead of the Rome race. Their best result in two and a half years had been a solitary 3rd place. That’s not where a manufacturer like Jaguar wants to be. So Mitch Evans’s victory takes the pressure off. But we also must ask the question. 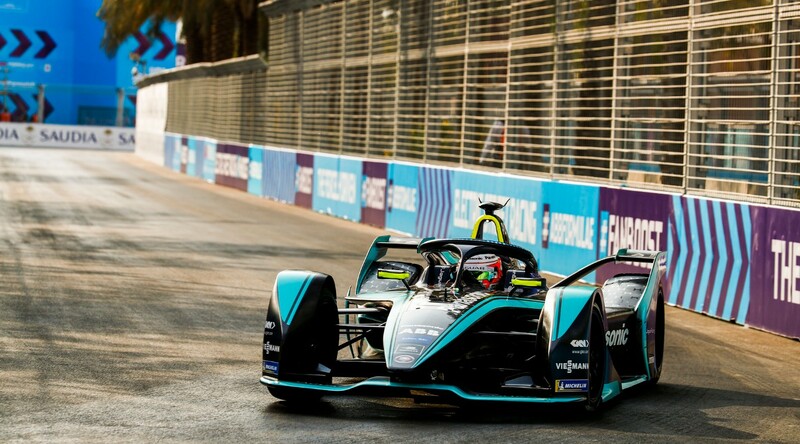 If even Jaguar can win a race, how much is a Formula E result a true reflection of the engineering of the car, the quality of the team and the skill of the driver. Is a good result now more down to luck? Are the rules too gimmicky, preventing strong teams from establishing their superiority? This situation reminds me of the start of the 2012 Formula 1 season. Then, the first seven races also saw seven different winners. This was when Pirelli had introduced a new type of high-degradation philosophy for the tyres. Tyres appeared to be highly variable from team to team and circuit to circuit (and sometimes even tyre set to tyre set). It seemed as if success came down to luck. The luck of having a car that, for whatever reason, happened to work with those particular tyres on that particular circuit at that particular time. The suspicion that skill wasn’t playing much of a factor was confirmed when the Spanish Grand Prix was won by Pastor Maldonado. It diminished what it meant to win a race. Moreover, when the results so are unpredictable, it becomes difficult to understand who’s actually doing a good job. The Formula E championship is currently led by Jérôme d’Ambrosio. He had a great start to the season including two podium finishes (one of which was a win). But subsequent races have seen more variable performances. Looking at his results from the last four races, it would be difficult to believe he was a championship contender. The problem is that looking at the results, it’s difficult to believe anyone would be a contender. The results are so unpredictable, and form is so variable, that no-one is building a proper championship campaign. It’s a great shame, because the races themselves are proving to be highly entertaining. But with different protagonists in each race, Formula E is lacking a narrative around the championship. The table may look close. But the points tallies are low across the board. The superficial closeness of the championship masks the fact that there is no real tension. There’s no tension because are no real rivalries. There are no real rivalries because most results are a one-off. Despite its short history, Formula E had big championship battles in the past. During seasons two and three, when Sébastien Buemi and Lucas di Grassi developed an intense rivalry. But over the past couple of years, both of them have slipped into a similar pattern as anyone else — spending most of their time scrapping about in the midfield, hoping for the occasional win at best. Championships are built on great names developing serious rivalries. But just now, Formula E’s championship leaders all seem confused to be there, and frustrated not to be doing better. Indeed, when current leader Jérôme d’Ambrosio was interviewed on the Formula E broadcast after the Rome race, he used the opportunity to express his frustration at finishing 8th in the race, blaming the qualifying rules (which disadvantage those near the top of the championship). Formula E is getting a lot right at the moment. Sure, fan boost is still a joke — but its significance is increasingly diminished. And on paper, the idea of disadvantaging championship leaders in qualifying is a good one. When Formula E’s CEO Alejandro Agag was interviewed by Dieter Rencken earlier this year, he described how the sport’s business model is designed to “every team should have a chance to win”. And while I admire his aims, there’s a difference between every team having a chance to win, and every team actually winning. Formula E needs to be a showcase of technology, skill and talent — not just a contrived entertainment event. I had to avoid reading your article until I’d watched the race, but I completely agree. This is my first full season of FE viewing (mainly driven by the generation 2 car) and it is difficult to remember race by race, who the big names to watch out for are. However, I’m loving the racing, the cars can run close, and whilst there is some element of energy saving it’s not as drastic as F1, and it allows for some strategy during the race. “Attack Mode” is fantastic. The fact that there’s a penalty for using it, but you have to use it adds a lot of interest. I was on the edge of my seat in the closing stages of Rome… would Lotterer be able to pounce as Evans had to go off-line? But yes, we need some consistency now. We need the stories to develop.